We wouldn’t have expected Kevin Hart and Dwayne "The Rock" Johnson to pair up for a buddy-cop movie. Then again, we didn’t expect the starkly short comedian to co-star with Will Ferrell in that god-awful Get Hard. So, we guess this is a perfect pairing. As the two get ready to star in their joint project, Central Intelligence, the film has nabbed the lead female role and rounding out the core three players. 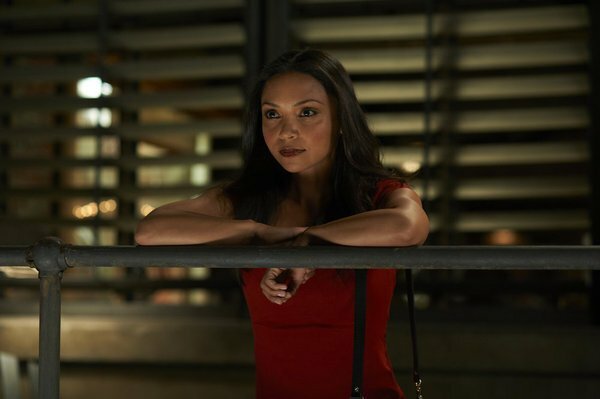 In addition to Hart and Johnson, Danielle Nicolet has been cast in Central Intelligence, Deadline reports. This will be her first major big-screen role in quite some time, having previously kept her career primarily in the TV and video game spheres. Don’t feel inferior if you don’t recognize her from anything, though. She got her small-screen start on the beloved sitcom Family Matters, and some of her more noteworthy roles have been on 3rd Rock From the Sun (she played Caryn), Second Time Around (playing Paula), and voice roles in games like LEGO Marvel Super Heroes (Gamora, Maria Hill, Ms. Marvel and more) and Saints Row: The Third (Shaundi). Her career has featured a bevy of random appearances and projects, one of which was the X-Men anime series, in which she voiced Storm. In Central Intelligence, Nicolet will take the role of Maggie, Hart’s on-screen wife and high school sweetheart. The film centers on Hart’s character, a mild-mannered accountant. One of his former classmates reaches out to him on Facebook, and while he used to be a loser with a train of bullies tormenting him, he’s now big and hulk-like. (Just FYI, this is the guy The Rock is playing.) As a killer for the CIA, the former classmate lures the accountant into thwarting a plot to sell military secrets. Ed Helms and Bobby Brown will also star in the film. Hart may be short — he stands at 5’ 4’’ — he knows how to use his size for comedic effect. Pair him with someone as imposing as The Rock, who’s not only one of the most heavily muscled actors out there in the Hollywood market, he’s also 6’ 5’’. Hart and Ferrell tried to utilize their massive height difference for physical humor, but Get Hard was bashed by critics for its homophobia and racism. The Rock may not be as classically trained in comedy as someone like Ferrell, but one would think someone like The Rock wouldn’t want to star in something quite as bigoted. So hopefully this’ll redeem Hart for his last attempt. Rawson Thurber is at the helm of Central Intelligence, and he’s the guy who gave us Dodgeball and We’re the Millers. In light of his name alone, we’re already keeping an eye on this one.